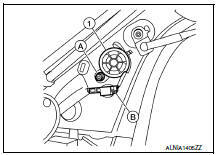 Remove battery terminal and av control unit after a lapse of 30 seconds or more after turning the ignition switch off. 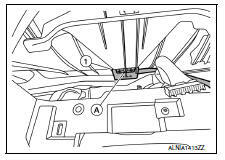 Before replacing av control unit, perform "read configuration" to save current vehicle specification. 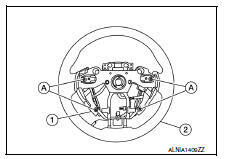 Refer to av-252, "configuration (av control unit) : configuration list". Remove the av control unit screws, then pull out the av control unit. 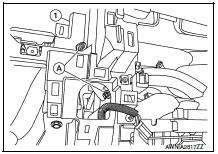 Disconnect the harness connectors from the av control unit and remove. 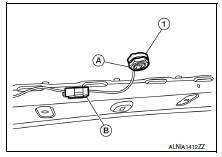 When replacing av control unit, perform "write configuration". 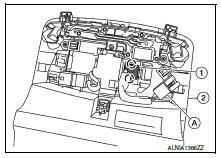 Refer to av-252, "configuration (av control unit) : configuration list". 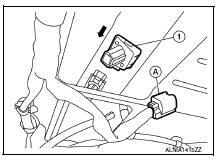 Release the pawls and remove the USB connector and aux jack (1) from the center console rear finisher cover. Remove the combination meter. Refer to MWI-77, "Removal and Installation". 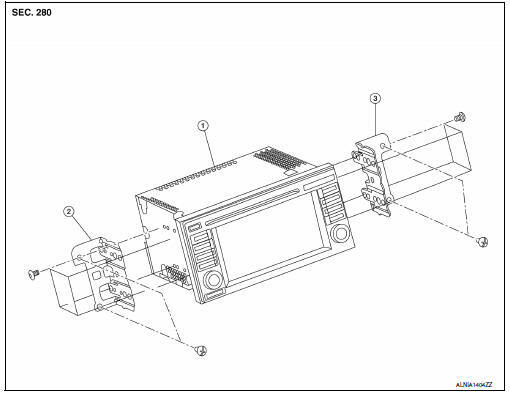 Remove the AV control unit. 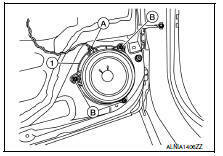 Refer to AV-298, "Removal and Installation". 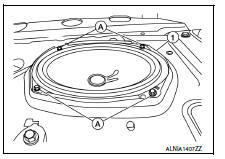 Remove the screw (A) from the GPS antenna (1). 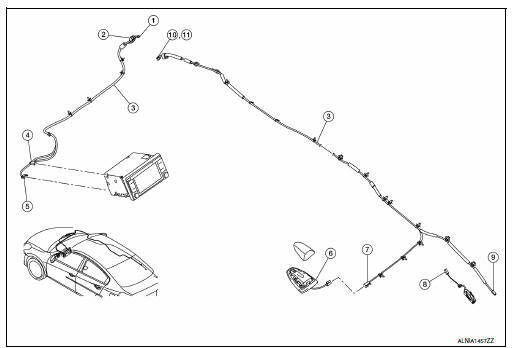 Release the harness clips (A) from the instrument panel (1) and remove the GPS antenna. Remove trunk lid finisher. 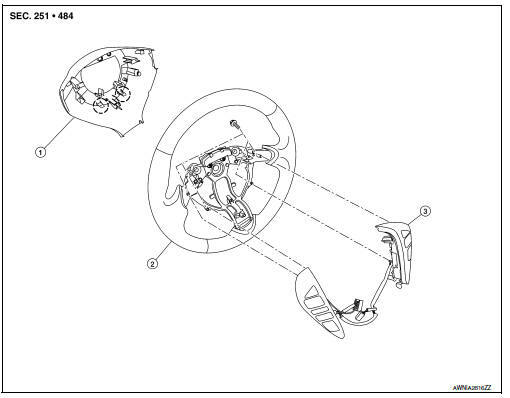 Refer to INT-45, "Removal and Installation". 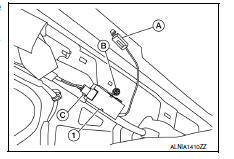 Disconnect the harness connector (A) from rear view camera (1).